Case studies are used across disciplines to examine, learn from, and share project findings. I often use case studies as an accessible format to understand design projects. I also use case studies when collaborating with business experts. 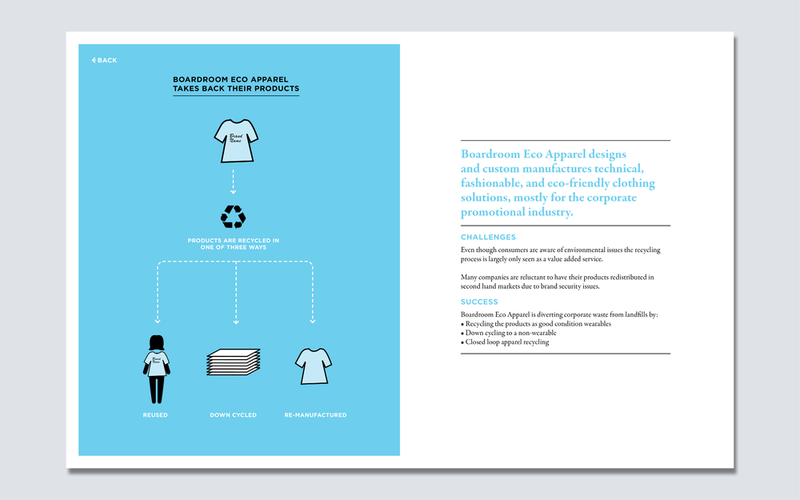 In this example I collaborated with Dr. Lisa Papania to create a set of cases that show Circular Economy Practices being adopted by organizations in the Lower Mainland. 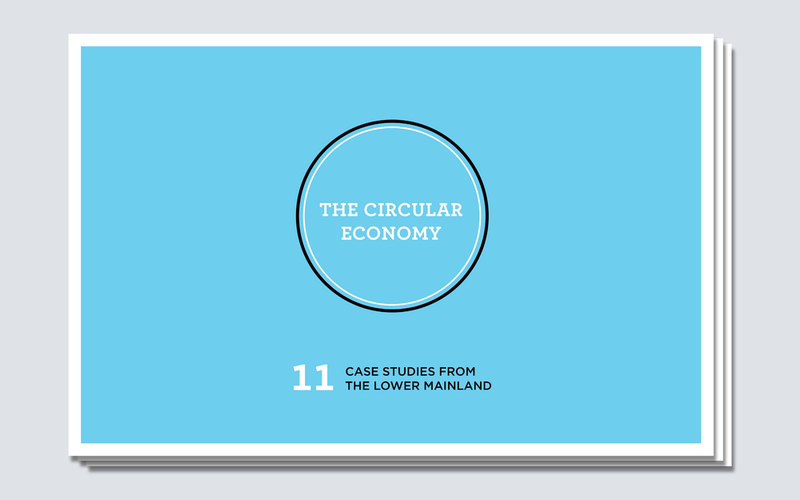 The circular economy report was developed as a consolidation and analysis of 11 case studies conducted on local business incorporating circular economy practices. This research and visualization contributes to circular economy research and development in local and international contexts. Case research conducted by BUS 443 Fall 2014, SFU / Instructor: Lisa Papania, Beedie School of Business / Human Centred Design Research Methods led by Maia Rowan. 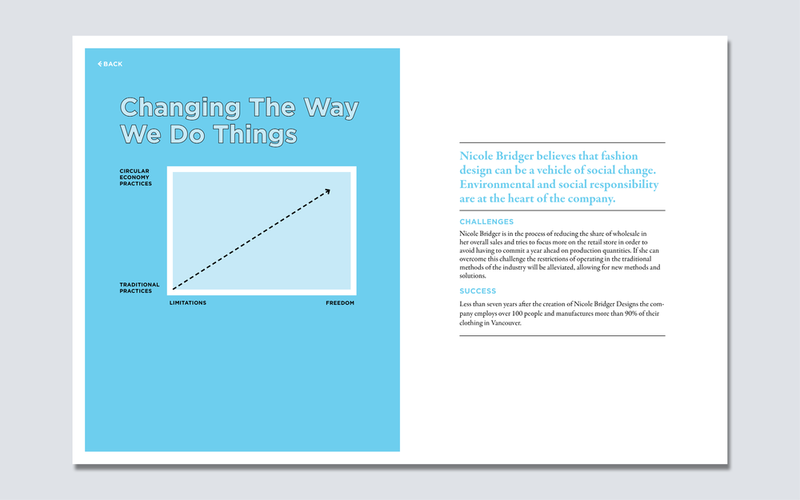 Data analysis, editing, and design by Maia Rowan. 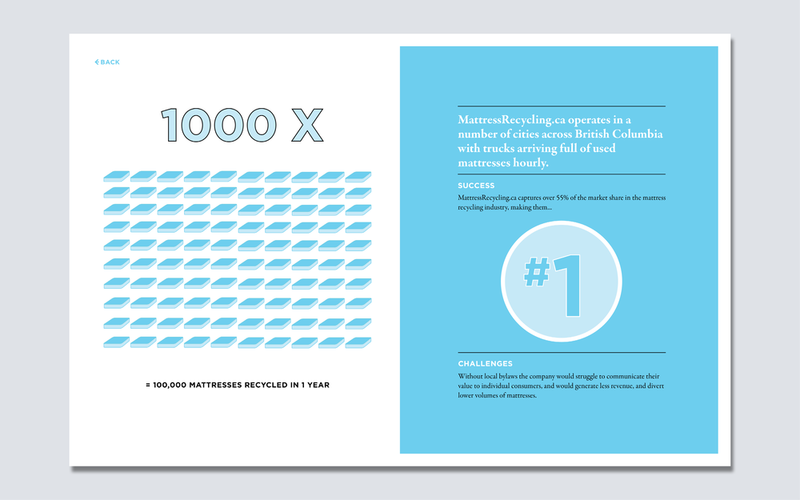 Project Supported by Vancouver Economic Commission, and the National Zero Waste Council.